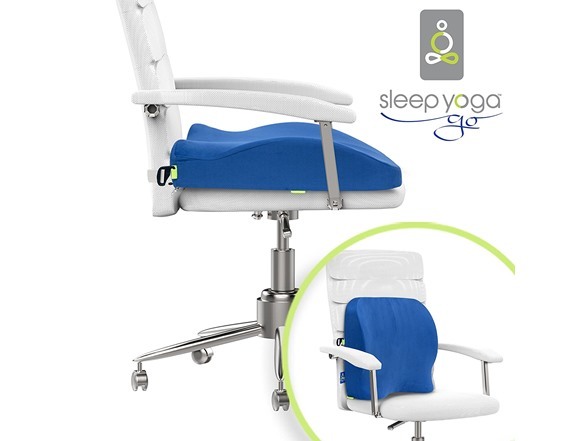 Sleep Yoga Go Seat Cushion. Ergonomic design with a contour surface providing optimal support for buttocks, hips and thighs. 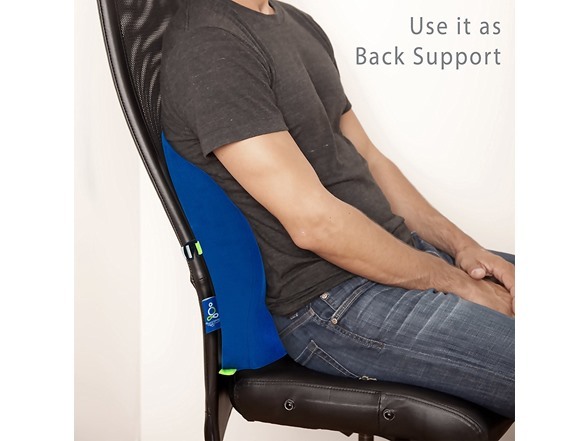 Putting less strain on the lower back spine and pelvis to help prevent discomfort and problems in the future. 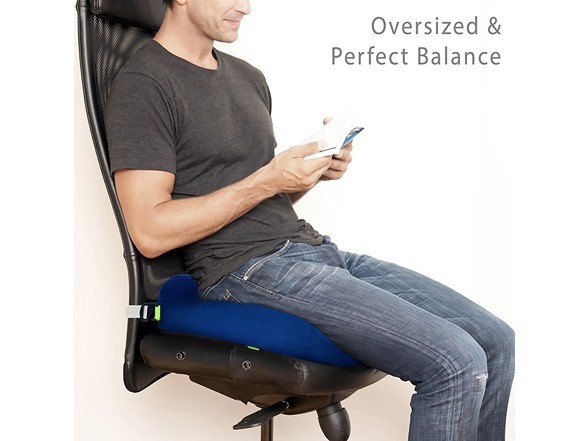 10% larger than other seat cushions on the market! Full seat coverage for office chair, car seat, truck, plane, computer desk, stadium seats, bench & wheelchair. 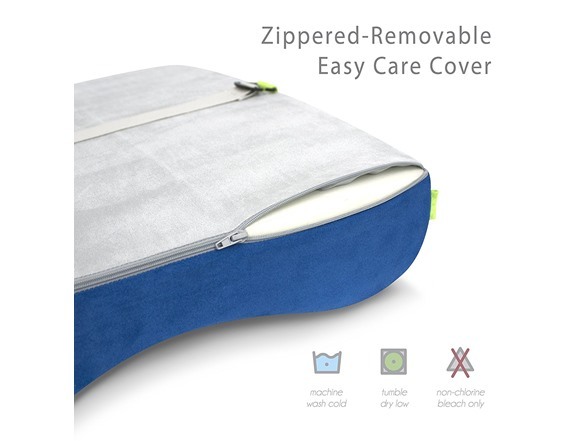 Easy and lightweight to take on the Go! 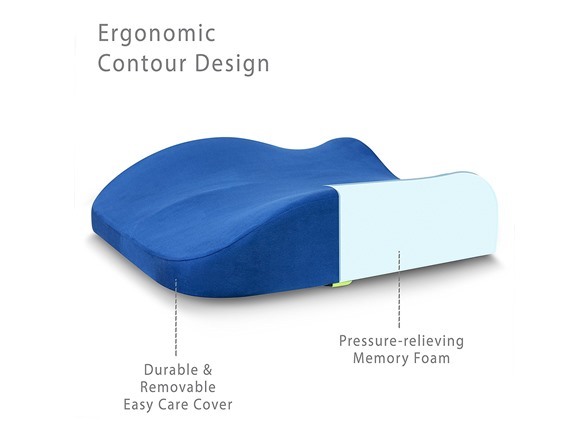 Ergonomic design with a contour surface providing optimal support for buttocks, hips and thighs. Putting less strain on the lower back spine and pelvis to help prevent discomfort and problems in the future. 10% larger than other seat cushions on the market! Full seat coverage for office chair, car seat, truck, plane, computer desk, stadium seats, bench & wheelchair. Easy and lightweight to take on the Go! 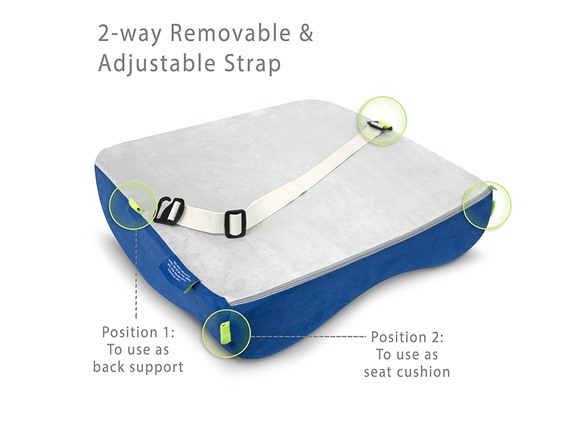 Our high density premium memory foam of 5” thickness reduces pressure and improves spine posture while sitting or driving for long periods. May help realign the spine, take pressure off the back and sciatic nerve. 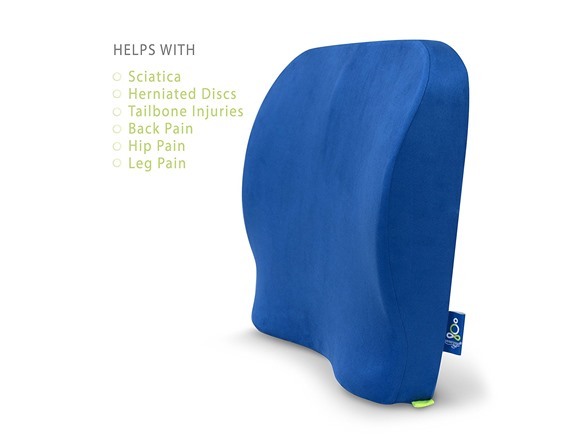 Perfect balance of firmness and softness, providing most comfortable support, ideal for people who suffer from discomfort due to sciatica, herniated discs, tailbone injuries, pregnancy back pain, hip pain, hemorrhoids and other spinal issues.